We are Geogenic Landscapes, a family landscape / horticulture, design, construction and consultancy team. 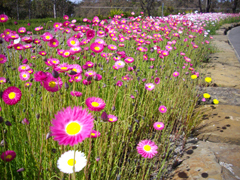 ﻿We have more than fifty years combined experience in the landscape design, thematic planning, construction development and management of gardens from residential to major botanic gardens in Australia and in Vietnam. ​Take a tour through our website for a range of services we offer. .﻿Geogenic offers a full range of landscape design services from residential gardens to estate master planning. We have completed major design and construction works at The Australian Botanic Garden, Mount Annan and Bidoup Nui Ba National Park in Lam Dong Province, Vietnam. 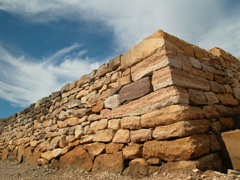 ﻿While many consider dry stone walling as an art, we have also designed, mazes, hillside murals and many sculptures using dry stone techniques as a sculptural medium. 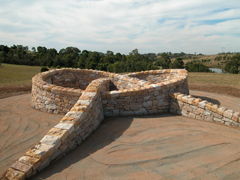 ﻿With more than 25 years in the construction business, Geogenic has a proven track record in the design and construction of hard and soft landscapes with a particular emphasis on the use of natural stone and Australian native plants. With qualified horticulturists, Geogenic offers complete horticultural maintenance, garden management and advice. 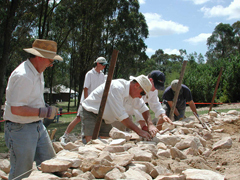 ﻿Geoff Duggan is a qualified and registered Master Craftsman, Examiner and Advanced Instructor with the Dry Stone Walling Association of Great Britain. He has taught more than 130 workshops over the last 20 years.